Does Philippines Have the Potential to Beat India in the Outsourcing Game? 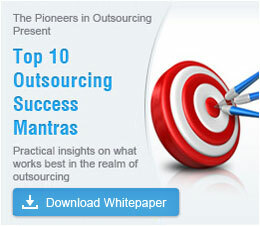 Asian countries have been the most preferred outsourcing destination for a long time now. This is mainly because it allows companies to get the best services at affordable rates as compared to their own country. With an annual growth rate of about 20%, Philippines has emerged as one of the leading outsourcing destinations for companies across the globe. Having access to young and dynamic college graduates and skilled workforce, Philippines is now the new preferred outsourcing destination. Outsourcing to Philippines has its own set of pros and cons. Having conquered the call center industry, this Southeast Asian country is moving up the ladder of outsourcing at a rapid rate. Soon we may see most of the projects being outsourced to India moving towards Philippines. But will it ever overtake India’s outsourcing industry? Well, only time can answer this question. Philippines Versus India - Which is the Next Major Outsourcing Destination? The rise of business process outsourcing in the small country of Philippines is nothing short of phenomenal, as the number of calls being handled about 20 years ago were absolutely nil. With almost a million BPO employees working in the outsourcing sector today, this place has witnessed the Filipino standard of living becoming a lot better over the past few decades. Read an article to know whether Outsourcing BPO to Philippines - Is It a Good Idea? Philippines has excelled in delivering voice-based services. It is estimated that almost 70% of the call center outsourcing projects coming to India will be lost to Philippines in the coming years, giving a massive boost to the call center industry in this Southeast Asian country. In India, the outsourcing industry is not only limited to call centers but is also expanded to provide a variety of other services, including software development, healthcare BPO, creative, data entry, insurance, financial, mortgage, etc. This is a huge advantage for India. Though Philippines has emerged as a leading call center outsourcing destination, the companies who are looking to convert their customer support centers into profit centers may not find it suitable to outsource to Philippines. Only a few companies have started adding the sales factor to their call centers. India comparatively has more number of sales-based call centers when compared to Philippines. This is the main reason why many companies outsource to India and hesitate to outsource to Philippines. Many companies have also relocated back to India owing to this incapability in Philippines. India comparatively has more number of sales-based call centers when compared to Philippines. This is the main reason why many companies outsource to India and hesitate to outsource to Philippines. Many companies have also relocated back to India owing to this incapability in Philippines. Philippines has already entered the top-10 list of the most preferred locations in the world for outsourcing, and is now at the 2nd position. This is a massive achievement for a country, which was not even in the picture a few years ago. Considering the size of India and the number of established delivery centers in this country, Philippines will take a lot of time to overtake India in terms of the number of outsourcing locations and infrastructure. Philippines’ focus is currently on providing top-quality call center solutions to global clients. It is yet to emerge as a destination which can provide end-to-end e-commerce solutions. India on the other hand, has a completely stable and settled setup to provide complete e-commerce solutions to companies looking to dive into the ecommerce business. Even after being a pioneer in the call center industry, Philippines has a lot of catching up to do in the technology and software development service domain to compete with India. The main reason for this lag is the lack of talented pool of software professionals for completing tasks, as required in the software field. India, on the other hand, is far more updated with the latest tools and technologies to provide top-quality software services to global clients. The abundance of talented engineers and developers in India makes it a preferred location for outsourcing software development and testing processes. Having natural American accent and culture, Filipinos make a great choice for outsourcing voice-based services and this nation is expected to boom at an exponential rate and may soon overtake India in the voice-based calling domain. The availability of English speaking workforce, stable infrastructure, high-end tools and technologies, and favorable government policies has propelled this tiny nation to take greater leaps in the outsourcing industry. Philippines may be racing ahead of other outsourcing nations in terms of quality, skills, and cost-effectiveness, but certainly it will take a lot of time to match up to the standards of the Indian outsourcing industry. The benefits of outsourcing to India clearly outweigh the benefits of outsourcing to Philippines, and India still has the edge over Philippines in the outsourcing race and is, therefore, the leading technology service provider in the world. Read an article on Can Manila Follow India's Outsourcing Success Story? Outsource2india is a leading outsourcing service providing company based in India and has been serving clients from around the world. Our multi-domain experience of over 20 years in the outsourcing industry makes us capable of handling any kind of outsourcing requests. Furthermore, we have the required infrastructure, delivery centers, and skilled resources to provide quick and efficient services at cost-effective rates, without compromising on the quality. All these factors help us retain our global clients and prompts them to renew their contracts and sign- new ones to avail our world-class services. Get in touch with our executives today and we will be more than happy to help you out with your custom outsourcing requirements.